Chinese cabbage originates in China and is a green leafy vegetable, also known as Bok Choy or Nappa. You get a variety of Chinese cabbage in the market. You can use its leaves in salads or cook Chinese cabbage and make a variety of delicious dishes. It is rich in all the nutrients that are essential for the body and consuming it is good for your health, skin as well as the hair. If you have a dry skin, include Chinese cabbage in your regular diet. About 95% of it is water and this helps in keeping the skin hydrated and locks the moisture in your skin, increasing its elasticity. Consuming Chinese cabbage helps in protecting your skin from a number of skin problems like blemishes, wrinkles, pigmentation, acne, spots, discoloration of the skin and so on. This is because of the antioxidants present in this vegetable. If you take in Chinese cabbage regularly, you can improve your skin tone. The ageing process is also greatly delayed. Chinese cabbage is very beneficial for treating various infections of the skin because of its antibacterial and antiseptic properties. Consuming the juice of Chinese cabbage is a good remedy for treating eczema, acne, rashes, pimples and so on. It helps in healing various skin allergies and makes your skin smooth and supple. The antioxidant Vitamin C in Chinese cabbage helps in keeping your skin healthy and youthful. It helps in getting rid of the damages caused by free radicals in the body and removes signs of ageing from the skin and keep it glowing and healthy. If you have a dry hair, apply the juice of this vegetable in your hair. This nourishes your hair and provides you a smooth and silky hair. Chinese cabbage contains Vitamin C and Vitamin E, both of which are good for a healthy hair and make your hair grow in length and thickness. Chinese cabbage contains iron in high quantities and this helps in increasing the level of ferritin in your body, helping you to fight against hair fall and increase hair growth. Being a member of the Cruciferous family, Chinese cabbage contains good amounts of glucosinolates, which is an organic compound that helps your body to fight against cancer. So it is one of the natural remedies for cancer. The presence of brassinin, a phytoalexin, in red cabbage also makes it good for treating cancer. In addition to these two chemicals, red cabbage is also a storehouse of beta-carotene, which is an anti-oxidant. According to studies made, it can reduce the risk of developing cancer and also repair and heal the damages caused in the body by the action of cancer cells. Potassium present in Chinese cabbage is not only good for lowering blood pressure, but is also beneficial for keeping the level of blood sugar under control. Moreover, it is also good for the mental health and keeps you away from stress, tension and anxiety. As you know, all green leafy vegetables are rich in antioxidants. Chinese cabbage is also a rich source of antioxidants, especially Vitamins A and C. You get 50% of these two vitamins that you need per day by taking in one cup of Chinese cabbage daily. Both these vitamins help the body to fight against the damages caused by the free radicals and protect the body from a number of diseases. So, having Chinese cabbage regularly increases the defense mechanisms of the body and keeps diseases away. In order to digest the food that you eat, you need to consume enough dietary fiber. Red cabbage is full of this fiber and when you consume it, you get enough nutrients and also a bulk of fibers is developed in the digestive tract. This increases the process of digestion and helps in the removal of unwanted materials from the body. Vitamin A present in Chinese cabbage helps in maintaining the health of your eyes. It contains beta-carotene, which can prevent cataracts, macular degeneration, loss of vision and other problems of the eyes. 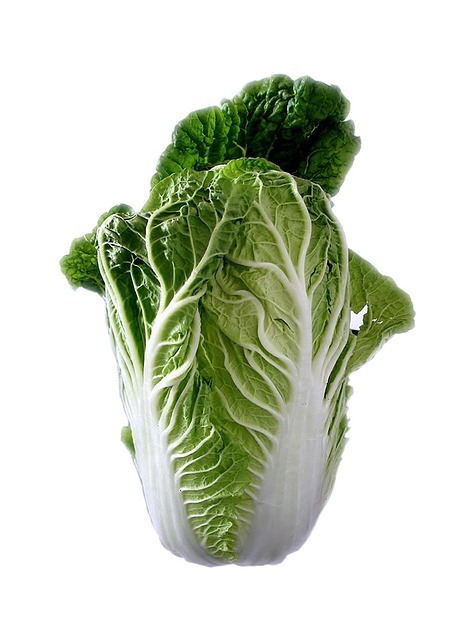 Pregnant ladies benefit a lot by consuming Chinese cabbage. All the nutrients that are needed for them are contained in this vegetable. This is because of the high content of folic acid present in it. It provides nutrition to the fetus and also helps in the production of milk during lactation, in addition to its various other benefits. So, pregnant ladies are advised to include this in their regular diet to stay healthy and to have a healthy baby. Chinese cabbage is rich in all the nutrients that your body needs and at the same time it is low in calories. It is also filled with dietary fibers. So, it is an excellent choice if you want to lose weight fast and effectively. You may have it in large quantities as it is low in calories. However, it fills your stomach fast as it is rich in fiber content. So, over eating is prevented. Chinese cabbage is rich in Calcium and potassium, both of which are good for your heart. They help in keeping the blood pressure under control and keep your heart healthy. Sodium is present in very low quantity in Chinese cabbage, and as a result you can maintain the health of the cardiac system by consuming Chinese cabbage regularly. Chinese cabbage is rich in calcium and Vitamin K, which keep your bones and teeth strong and healthy. Calcium is also good for the proper functioning on the muscles and the nerves. Vitamin K is necessary for clotting of the blood and therefore prevents excess flow of blood when a cut out injury is made on your body.